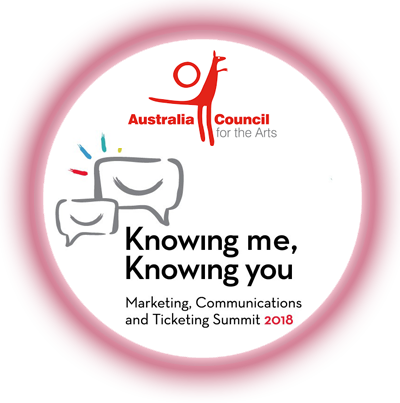 Insight’s directors are delighted to be the first public relations and communication specialists invited by Australia Council for the Arts to present at the 2018 Australia Council Marketing, Communications and Ticketing Summit Knowing me, knowing you! on best practice, strategic communication management. The intensive two-day programme on 28 and 29 June features national and international leaders in their fields. Alice Collins and I are both humbled and excited to present our unique insights into developing strategic, communication campaigns with effectiveness and ROI demonstrated through analytical measurement and evaluation. There’s far more to conducting an effective communication campaign than just Ring! Ring! It’s so much more than asking journalists to Take a Chance on Me! When All Is Said and Done, saying, I Have A Dream just won’t cut it in this rapidly changing Crazy World of communication. You have to be a Super Trouper and develop a strategic communications plan – that’s The Name of the Game! In this insightful session where you get Two For The Price of One, Clare and Alice Collins, the multi-award winning mother/daughter team will share their insights into developing and strategically rolling out a Winner Takes It All campaign! When working in the Arts, getting bums on seats is the Name Of The Game to get the Money, Money, Money! In this session Insight’s directors, Clare Collins and Alice Collins will share their insights to writing an effective media release that lets The Music Speak and has journalists saying I Do! I Do! I Do! They’ll share their award-winning writing skills and methodologies in campaign measurement and evaluation that demonstrate ROI.